I love this jacket. Too bad it was only worn for 90 seconds and may never be worn again! I made it for S to wear to my brother’s summer wedding. It’s linen with cotton lawn lining. 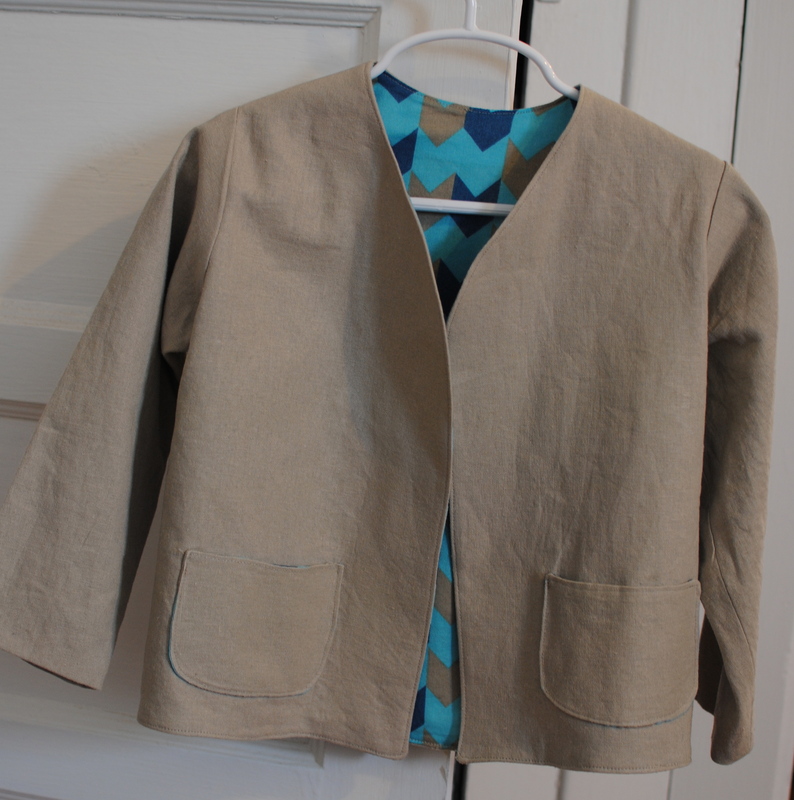 As a sewing newbie, this project made me less afraid of jackets and linings. I made a muslin that I plan to dye with an ombre effect. Should be a fun outdoor activity to do with S when it gets warm. 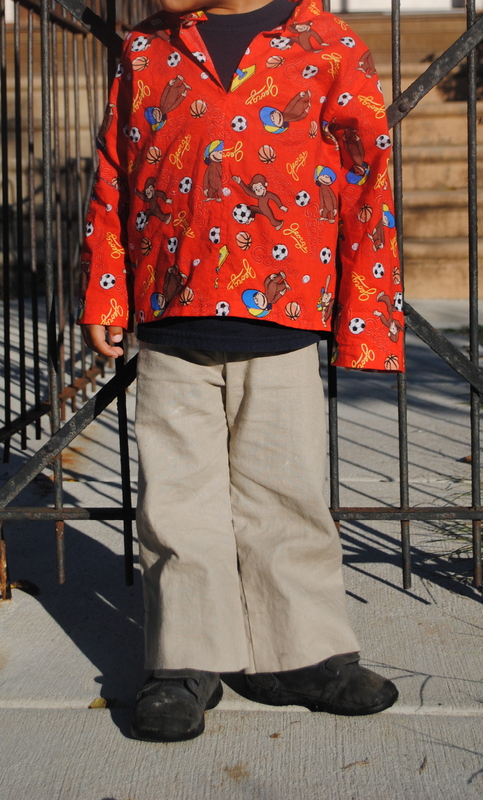 Pattern is the out on the town jacket from Sewing for Boys. The fabric is from Denver Fabrics. Another sewing project from Growing Up Sew Liberated. 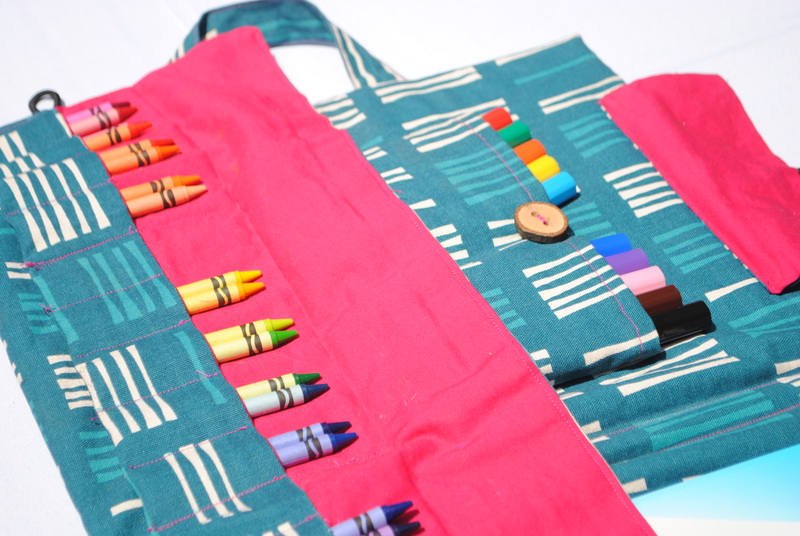 I made this art satchel for my niece’s third birthday. I was going to make one for my son, but I don’t think it’s quite right for our lifestyle. It’s a little bit unwieldy — it’s perfect for a suburban kid that spends a lot of time in the backyard. Since we live in the city, we usually walk or ride our bikes to the park to draw. This would be a little too big to carry with us. 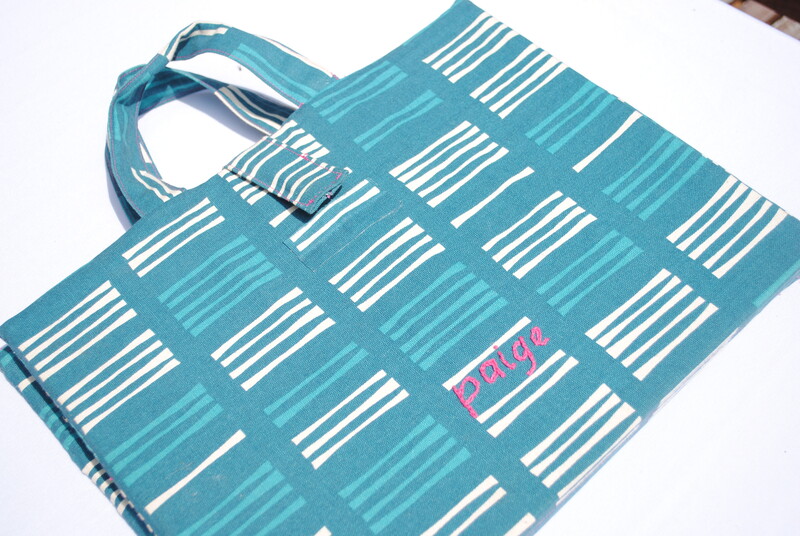 I used Jessica Jones Outside Oslo fabric, which I bought at Crafty Planet during a visit to Minneapolis. I love that store. I think I was in there for at least an hour before I chose the fabric. Saj and Scott were napping in the car. I’m so indecisive. And fabric stores exacerbate this character trait! I used 1/4 inch masonite to create the hard surface of the satchel. The pattern calls for plexiglass, but my local plastic shop wanted to charge me $10 per piece, or $20 total. That’s more than I wanted to spend on this. I already splurged a bit on the fabric. We had some masonite left over from a renovation project. I think it might actually be lighter than the plexi. 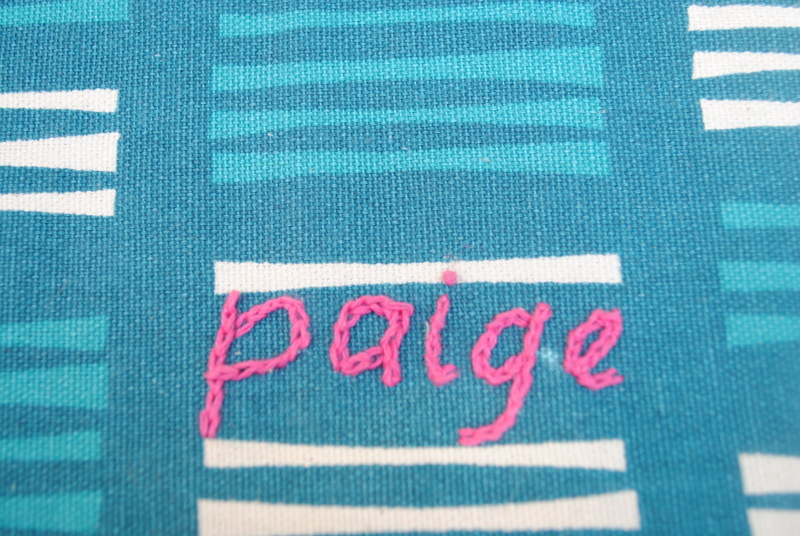 I stitched my niece’s name in the fabric using a chain stitch. This is my first needlework project. I chose a font and typed her name in Illustrator. Of course, any program would work. I just liked that I could determine the size of the letters (in inches) in Illustrator. Then I traced the letters on a piece of tracing paper. 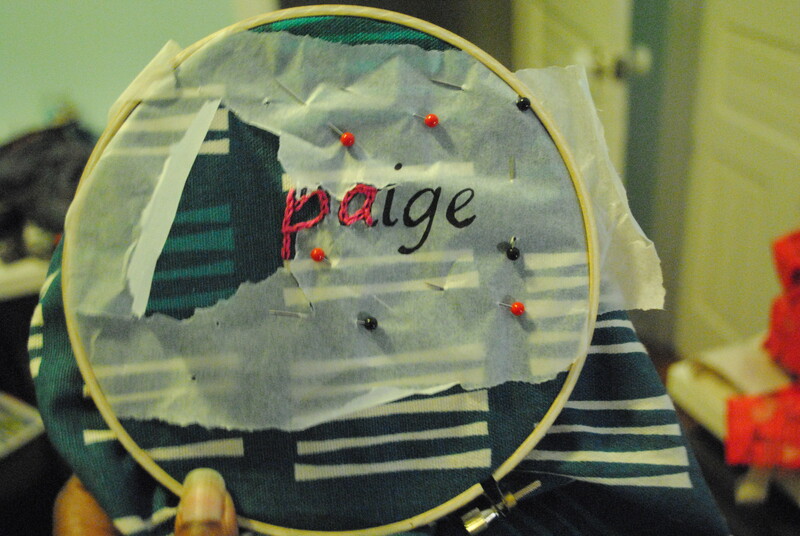 I pinned the tracing paper to the fabric and I stitched right through the letters. I think I saw Rebecca Rinquist‘s students stitchng through paper at Squam. This is how it turned out.